It’s after 7 a.m. on Saturday May 23 when my sister Judith and I travel with my niece Leigh, from her home in Olney, Maryland. 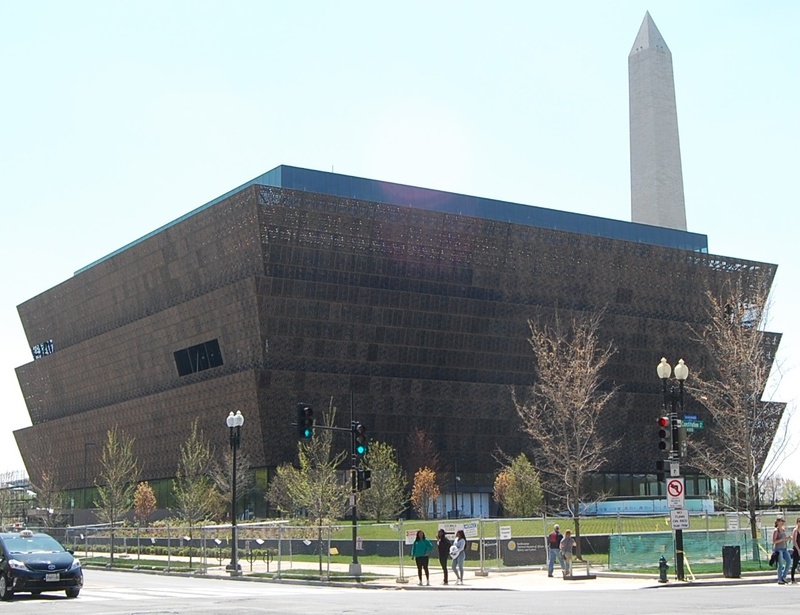 We are on our way to witness the celebratory opening of the National Museum of African American History and Culture (NMAAHC), that documents my ancestors’ struggle to Freedom. 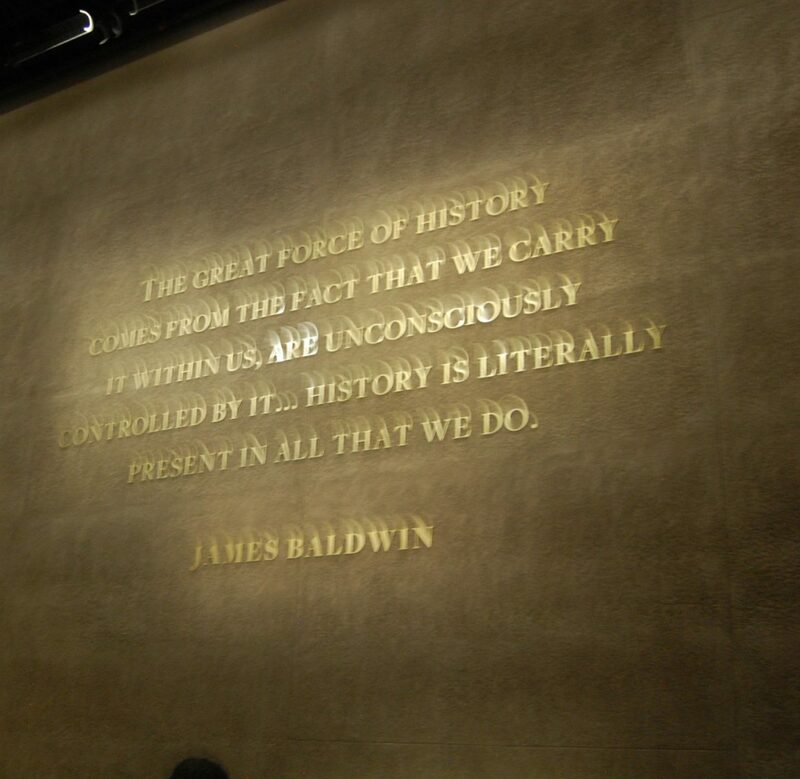 The words of James Baldwin, one of our most prolific Black writers of the 20th Century are engraved inside the museum, capturing the essence of the African American experience. His words and those of other men and women Black writers are spoken by Oprah Winfrey and Will Smith during a poetry slam that thrilled everyone of us. David Adyaye of Ghanain-British heritage, is the 50 year-old architect and lead designer of the museum. Sketches of African Americans–male and female–whose Black lives once mattered, now gone. It’s near 8:30 when we arrive in DC and walk the several blocks along 17th Street before entering into the public viewing area. 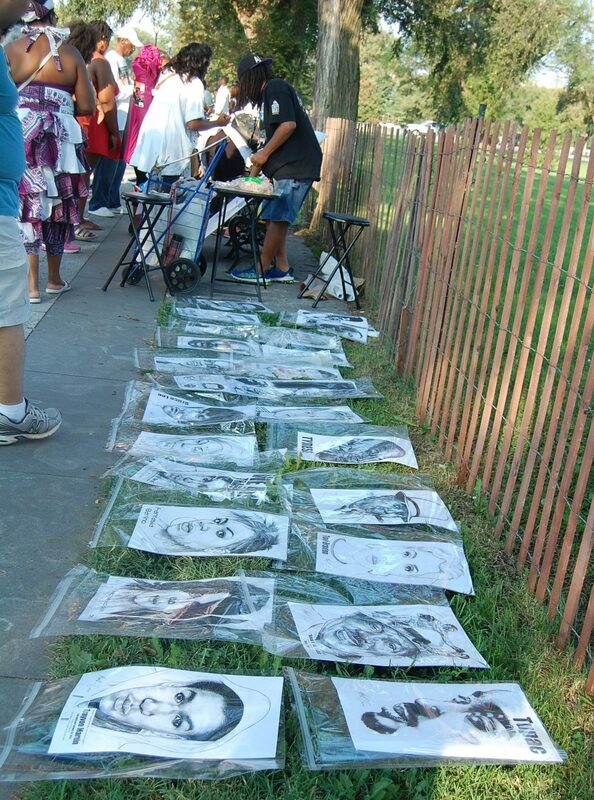 Hawkers are setting up on the sidewalks to sell their wares of T-shirts, buttons, caps and even sketches of Black Lives lost, from Trayvon Martin to Terence Crutcher. Now inside the Mall’s expansive grounds we scope out a spot, plant our feet and for the next 4 hours don’t move until its over. The crowds of mostly African Americans also include Caucasians and Asians. 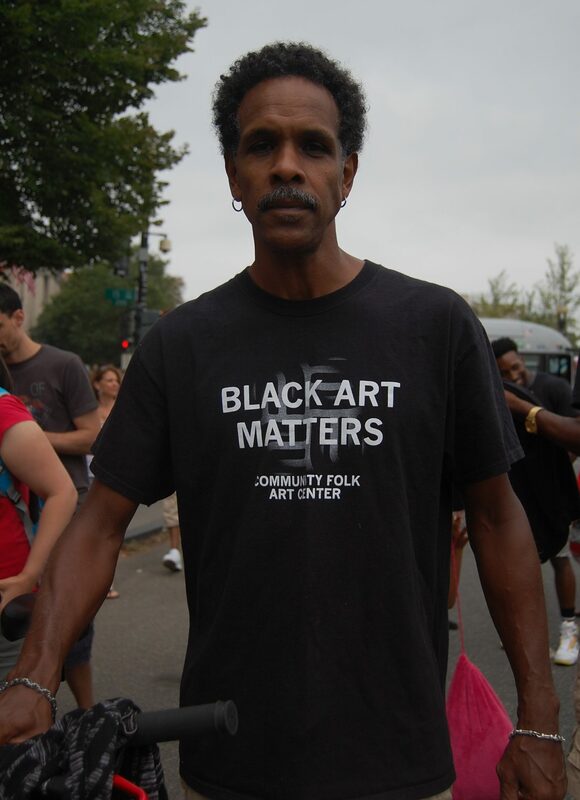 Numerous people are wearing African garb while elsewhere Black Lives Matter T-shirts and logos from colleges and universities near and far cover the backs of others. The FREEDOM SOUNDS program of music and poetry share the day with remarks from Smithsonian Museum representatives including founding director Lonnie G. Bunch III, Civil Rights icon Congressman John Lewis, prominent entertainers and former President George W. Bush who signed the legislation to build this museum. 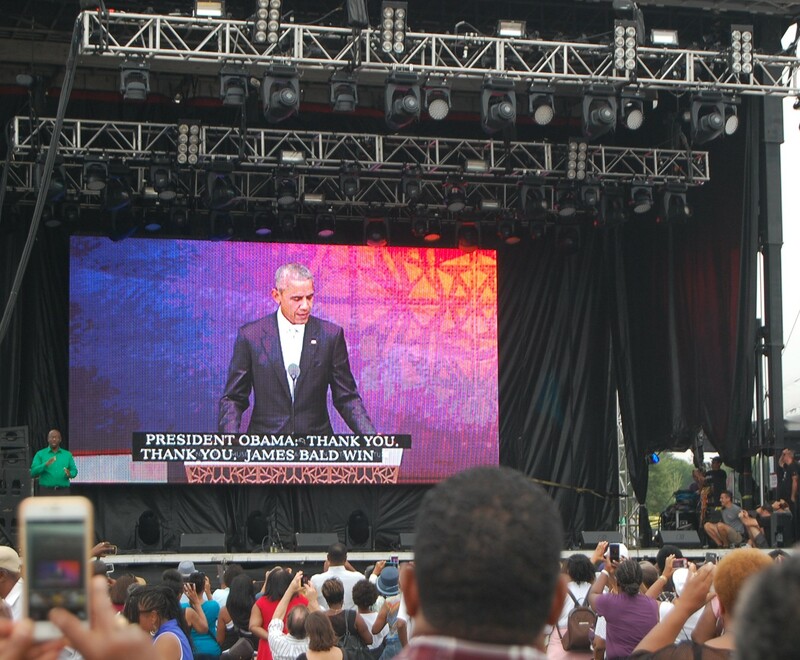 When President Obama reaches the podium everybody stands and shouts and cell phone cameras rise in the air. Lots of love is given to the most popular President in decades. In the belly of the museum, 70 feet below ground is the somber chronicle that begins in the 15th Century when Europeans invade the Motherland. Then the diaspora across the sea from Africa to countries around the globe. 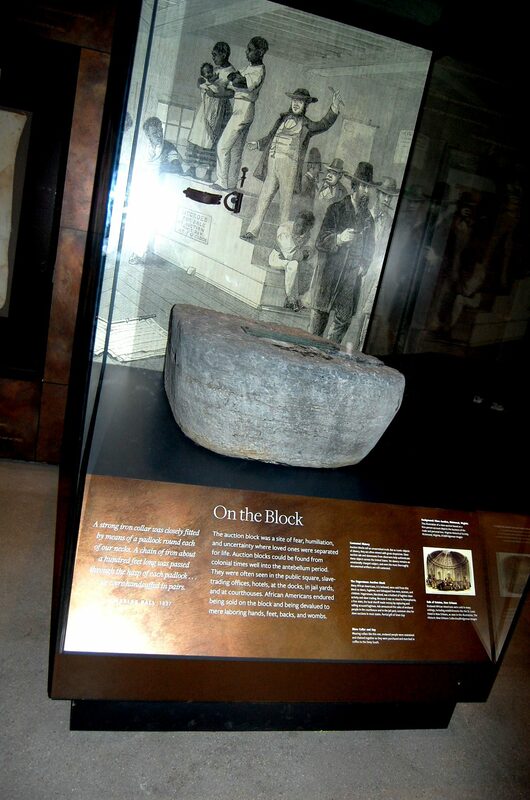 The Colonial America experience of the plantation with beatings and family separations are enhanced by a collection of valuable artifacts in displays of photographs, yellowed letters and shackles authenticating the treatment of human beings as if they were livestock. As we journey upward through the different levels we see the rising of the African American: The Civil rights Act–the movement toward the push for equality. 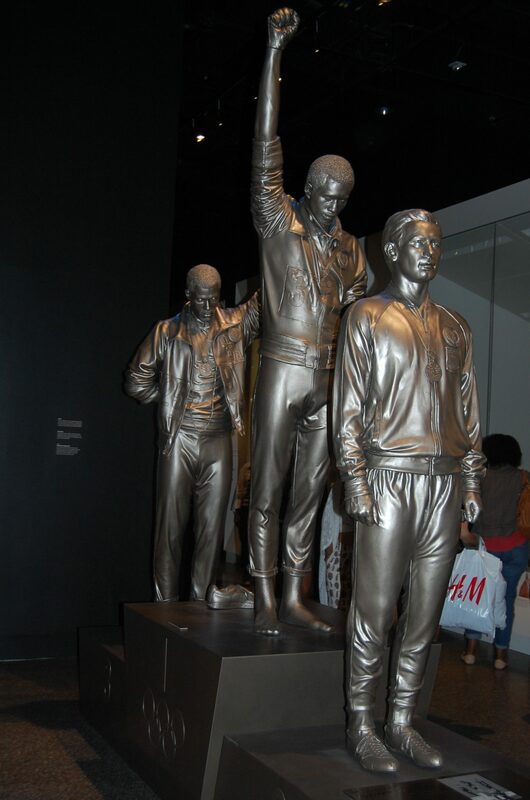 We are treated to the accomplishments of Blacks in the arts, entertainment, athletics, government and education. At its highest level, the vision of David Adyaye is realized. Light flows throughout rooms where paintings and sculptures by African American artists fill each of the galleries. It is a powerful experience and I encourage every race, color or creed, the young and old, and the rich and poor to visit this museum. Timed entries to the museum are booked through January 2017 but there may still be some available open slots. Go to their website at NMAAHC.SI.EDU. I’m returning next year for a second visit. One visit is not enough. President Obama’s speech on July 14 to the NAACP Convention in Philadelphia about the failed criminal justice system recalled a commentary I wrote in 1992 when editor of The Keystone Veteran, a quarterly newspaper of Pennsylvania Vietnam Veterans of America (VVA). VVA is the only veteran’s organization that advocates for veterans behind bars. My commentary, ‘Paying Now or Paying Later’ was published after rumors began flying that our Pennsylvania legislators were considering the closure of a hundred year old school that had been graduating students who went on to higher education. Scotland School for Orphans of the War is located in Franklin County—south of Harrisburg. The school was established as a boarding school to educate orphans whose fathers had ”… died in the War”. My father and his brothers, sons of a deceased Civil War Navy veteran, would attend Scotland, living on the campus every school year through to graduating from the 12th grade. The school was overseen and received funding from the state. However the school also enjoyed support from hundreds of veteran groups throughout Pennsylvania. Because I edited the Pennsylvania’s VVA quarterly newspaper, circumstances in 1991 found me escorting my father back to his alma mater where he’d not set foot since his 1918 graduation. In ‘Paying Now or Paying Later, I wrote: Students may also carry the additional hurdles of deteriorating neighborhoods or streets filled with drugs. These are the children who are candidates for the next generation of the $80,000 a year inmate. The following year I attended Scotland School’s 1992 graduation ceremony where 26 of the 29 graduates (one was a Caucasian) had been accepted at colleges, junior colleges or technical schools. A few weeks after that graduation I attended a similar ceremony—this one inside the walls of the State Correctional Institute at Graterford. One hundred and eleven men (a few were Caucasian) received diplomas for GEDs, Vocational Certificates and Associate Degrees. One inmate received his Master’s; another received his Bachelor of Arts. Around that same time a segment appeared on ’60 Minutes’ about inmates receiving federal grants to further their education. Within days of that segment federal legislation put that to a stop. Now inmates wanting to further their education must pay for it themselves or with the help from friends or family. Since then, it just got worse. Mandatory Sentencing, as President Obama described, has made America the country with the most imprisoned people—mostly black–who are serving time for offenses that would keep them locked up for years. I’d heard and read that a “lot of black people” were locked up in prisons. My reality check came in 1989 when VVA held a State Council meeting inside SCI Graterford. The administration allowed 70 inmates (all veterans) to attend the meeting in the prison’s auditorium. There were only three white faces out of those 70 inmates. It was the same at other state prisons I entered: overwhelmingly black faces. Everywhere. Scotland School closed in 2009. A couple years ago I had a conversation with a man who retired after a career in the juvenile probation and parole system. He shared with me that there was an opportunity for Scotland School to come under the umbrella of Hershey School. In 2013 Scotland School was purchased by the Winebrenner Theological Seminary for $1.8 million. Distressed neighborhoods in Philadelphia continually deteriorate from poor schools, drugs and violence.